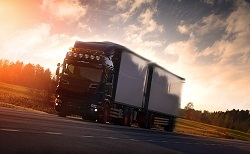 Many people believe when they’re involved in a truck accident, it’s automatically the trucker’s fault. However, this isn’t always the case. (or parties) was at least 50% responsible for the accident. Improperly securing cargo loads. When trucking companies send an 18-wheeler onto the road with an unsecured or improperly secured cargo load, the truck can become unstable. It may tip over, jackknife, swerve out of control, or be difficult to stop. Poorly addressing maintenance. Again, when trucking companies and drivers allow their rigs to drive hundreds of miles without routine inspections, they casually put you and your family at risk. When that risk turns into a full-fledged collision, they’re lack of consideration for safety makes them responsible for the damages. Willingly disregarding safety regulations. Truckers are obligated to follow certain safety regulations like the hours of service rules to ensure dependable driving habits. However, when employers encourage truckers to disregard these regulations, they and their truck drivers negligently put others at risk. Medical expenses. Medical expenses are the most common type of damages recoverable and may incorporate medication, surgery, medical device, hospitalization, and physical therapy costs. You may also be able to receive compensation for any future medical treatment you might require. Lost wages. You may also be able to recover lost income and, possibly, future earnings that may be lost due to treatment or disability. General amends. These are damages that may not necessarily have a set value attached to them, but are worth something nonetheless. This could include pain and suffering, mental anguish, permanent disability, disfigurement, loss of enjoyment of life, and more. However, to collect compensation, you will not only need to file a claim but be able to back it up. Contact our office today to speak with your attorney about building your claim. We’re more than happy to discuss the legitimacy of your case as well as compensation values and how to proceed with you lawsuit. Call us today at 713-921-4171 to schedule your FREE consultation.